I thought it might be interesting to break up our tours and focus on stays at flagship hotels , and what we do while there. The first one that came to mind was Ballynahinch castle. At Ireland and Scotland Luxury Tours we like to provide authentic tours and showcase the real side of both countries. On tours of Ireland , Ballynahinch castle is a true reflection of the homeliness of the country and the people. Ballynahinch Castle has been interwined in the history of Connemara and its people for centuries , from the first recorded battle between the O’Flahertys and O’Malleys, in 1384. Ballynahinch i.e. Baile na hlnse, means ‘household of the Island’, and refers to the O’Flaherty Castle built on an Island in the lake. It is situated near the town of Clifden and the village of Roundstone. A typical few days staying there can include visits to the superb , never to be missed , Kylemore Abbey. The story of Kylemore Abbey is a truly remarkable one that spans over 150 year of tragedy, romance, innovation, education and spirituality. Built as a breathtaking Castle in 1868,it is now the Abbey and home of the Benedictine community of nuns. There is also the hidden gem that is Aughnanure castle. 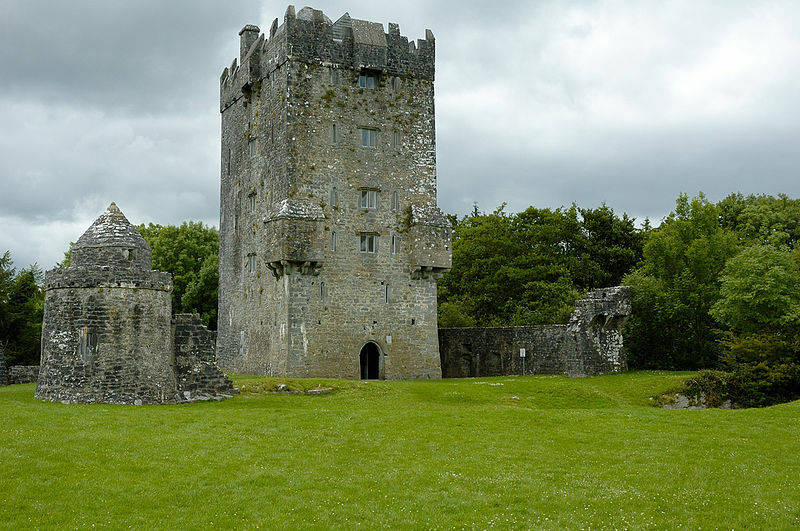 This castle was built by the O'Flaherty family in the 16th century, one of Connacht's most notable lord families and has strong historic ties with Ballynahinch castle. Add to this the stunning drives through Connemara National Park and the coastal views and you have scenery that is totally unique to Ireland. The quaint town of Clifden has many great restaurant/pubs and fantastic live Irish music.